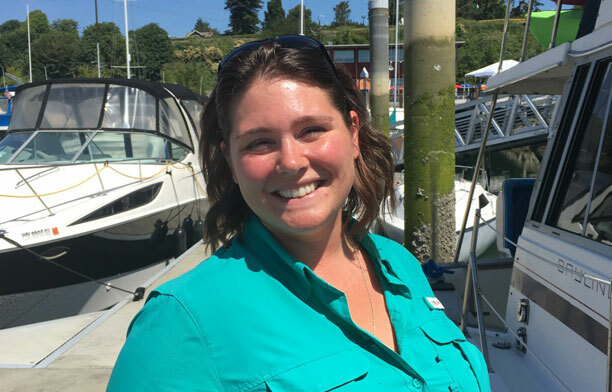 Amanda Klett has joined Waterline Boats to create opportunities for boat lovers in Everett and north. She was born in Arlington, Washington and grew up boating with her family. Amanda values kindness, boating knowledge, and her friendships with boat owners. She is the Head Chairwoman of WOW, Women on the Water, an entity of Everett Yacht Club. Amanda manages a blog devoted to cruising in the PNW, sharing tips, photos and ideas for other boaters. An avid angler, Amanda, was exposed to fishing through her grandfather and father. Her grandfather was a commercial fishing captain in Southeast Alaska, and she found herself fishing with her father on many occasions. She is a proud mother of two, and stays busy boating and fishing year round. Catch Amanda and her family anchoring out in the San Juan Islands and kayaking in beautiful waters. Joining Waterline is a joy for Amanda as she claims, “I’m impressed by Waterline’s global reach, with it’s advantageous Boatshed system and multiple offices around the country.” She joined Waterline through an introduction from Gretchen, her fellow Waterline Boats broker in Everett. Gretchen and Amanda work together to deliver an honest, kind, approach backed by their knowledge of the yacht market in Everett, Seattle, and the Pacific Northwest. Amanda as an outgoing woman with a knowledge and passion for boating. She is a personal trainer with a certification in sports management, giving her experiences adapting to a variety of personalities and needs of her clients. She is approachable and easy to talk to whenever you are ready to list or view yachts in Everett and north give Amanda a call!